With qualities that are often subtle and dependent on factors like light and environment, it’s absolutely necessary to take a thorough look at flooring samples in your space. 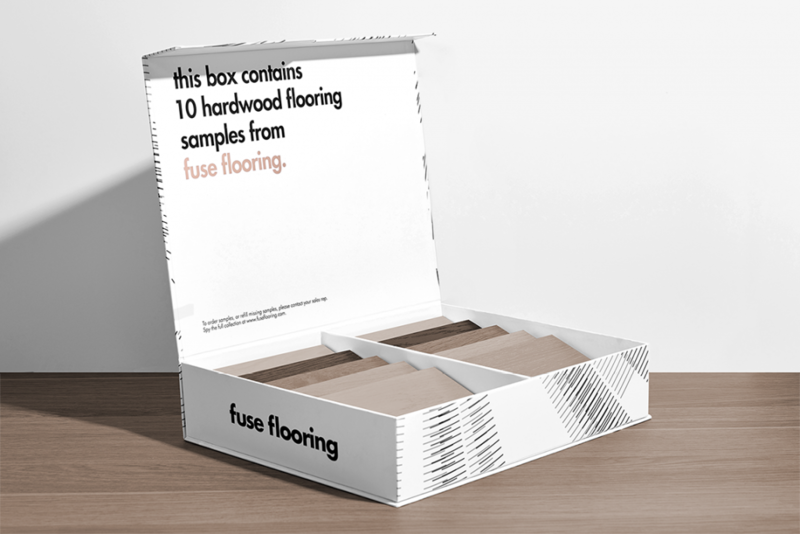 After visiting the Relative Space showroom, you’ll have narrowed down the floors you like to a concise set of samples to take away. One challenge of samples is that they are one-thousandth the size of the actual plank you are buying. Here are some tips to help you take notice of the right things and make a good decision. Planks look different in the natural light by the window than they do by light from lamps and other artificial sources. Also, direct and indirect light illuminate the floor differently. Make sure you are happy with your sample in every scenario that applies to your room. Keep the colour range of your floor in mind when looking at samples. If there’s a lot of variation, ask to borrow a large sample board. Put the samples on the floor and stand several feet back. Then, stand even further back. Then, take a look from across the room. Wood has a “direction” to it (e.g., herringbone). Point the sample towards the window so the light is reflecting across the length of the board, not the width. Hint: our labels always read from the long end, so if you can read the label, just flip the sample over. Now point the sample at all adjoining materials — stone, cabinets, etc. — to see how the colours and light play together. Don’t place different samples together on the floor as they’ll borrow colour from each other. If you don’t have access to the space where the floor will be installed, use a white wall or other neutral option. Idea and design boards are very helpful. A Relative Space expert can help you create yours. Place your sample near a window (but not directly against the wall) so you can assess the gloss level and see the reflection from the floor. The size of the boards plays a big role in how the floor works visually with the other elements in your room. Stay tuned for an upcoming Floorcast Blog post on selecting the right size plank for your space. Note the type of bevel: Two sides, four sides, or square edge. Ask one of our experts if you need help with this, but here are the basic guidelines: A two-sided bevel accentuates the length of the room, a four-sided bevel shows off the size of the boards, and a square edge has a site-finished look. Our bespoke collections — including Sumo, Energía Natural, and Foglie d’Oro — can generally be customized in any way you like. If you’re using a pattern, talk to your designer or sales rep to help you create a layout that suits your space.